Welcome to How To Logistics. We provide all the tools you need to improve your supply chain and logistics. We’re passionate about improving business performance and efficiency. Our experience and knowledge of best practices helps both people and the companies where they work. We provide accessible and understandable techniques and examples that guide you through to your own success. We are with you every step of the way. We start by offering you tools with clear examples and templates for you to use. We can also support you with an online consulting. With How to Logistics, you just choose the relevant tools for your current project or target. We provide the presentations that will convince your boss to allow you to move ahead with an improvement project. We also supply the templates for assessing and analyzing your current position, and the projects to guide you to a successful result. We want to help you succeed in your career, and improve your business’ performance. There’s no catch. We just ask that you register on our site before downloading our free tools. 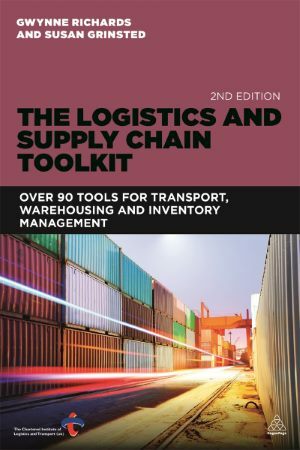 The Logistics and Supply Chain Toolkit, by Gwynne Richards and Susan Grinsted, provides warehouse, inventory and transport managers with a comprehensive set of tools to tackle many of the day-to-day issues in order to drive efficiency and business success. In a busy, rapidly moving environment it offers quick, reliable advice and combines crucial logistics tools with key business techniques including SWOT analysis, Gantt Charts, Cause and Effect Analysis, and Maister’s rule. Each tool is explained and put into context and examples are given of how it can be used within logistics.